There is an excellent opportunity for art lovers to add to, or even start, their collection of original artwork created by some of North America’s leading artists. It’s the 13th annual Masterpieces in Miniature art event. Getting your hands on an original work of art can be difficult and for some, expensive. The idea of the Masterpieces in Miniature show is to create easier access to one of a kind original works. The show features more than 50 invited artists of stature doing original work on a smaller scale than you would usually find in a gallery. The largest size is 11” x 14” and the works include all forms of art from pencil sketches, to paintings to sculptures. The first show was an immediate success. It was so well received that the miniatures show, ironically, became too big. Now the gallery limits the amount of pieces submitted by each artist to two. 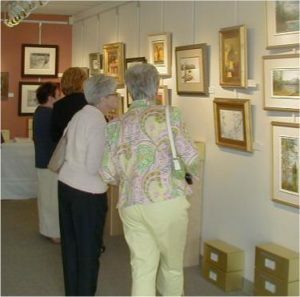 The gallery carefully chooses the artists to invite. They are well known around North America and hail from as far away as Florida, California and across Canada, including some from Alberta and the Edmonton region. From a consumer perspective, the Masterpieces in Miniature show is an excellent opportunity to have access to great, original art from renowned artists. Many people new to collecting or who appreciate high quality art can sometimes be left out of owning their favorites due to the limited supply of original work. Some artists have wait lists of up to 5 or 6 years for their work. The Masterpieces in Miniature show breaks down those barriers. Now art lovers can walk away with a one-of-a-kind piece of art at an affordable price. From an artist’s perspective, the notion of working in smaller scale can sometimes be a new way to flex some creative muscle. In recent years, miniatures have become trendy and main artists around the world are making the move to smaller, more intimate works. In some cases, the smaller scale means the work requires more intricate detail and a bolder use of colours. They have to use different brushes in order to paint what they want to paint. For artists used to working on large pieces, scaling down the work and still have it hold up under scrutiny is challenging and pushes the artist to create great works. “With Masterpieces in Miniature we wanted to bring in people and to also give back to the community in some way,” says Rollie. Picture This! 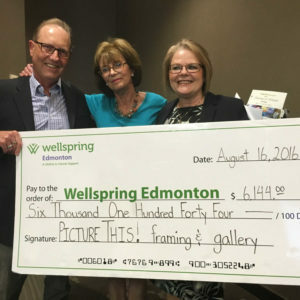 Gallery and the participating artists donate a part of the proceeds from the sales of the miniatures to the Art Therapy Program at Wellspring Edmonton. The success of this special show has led to more than $39,000 donated to local charities and is another big reason artists like being a part of this event. Now with a limited supply and a high demand Picture This! 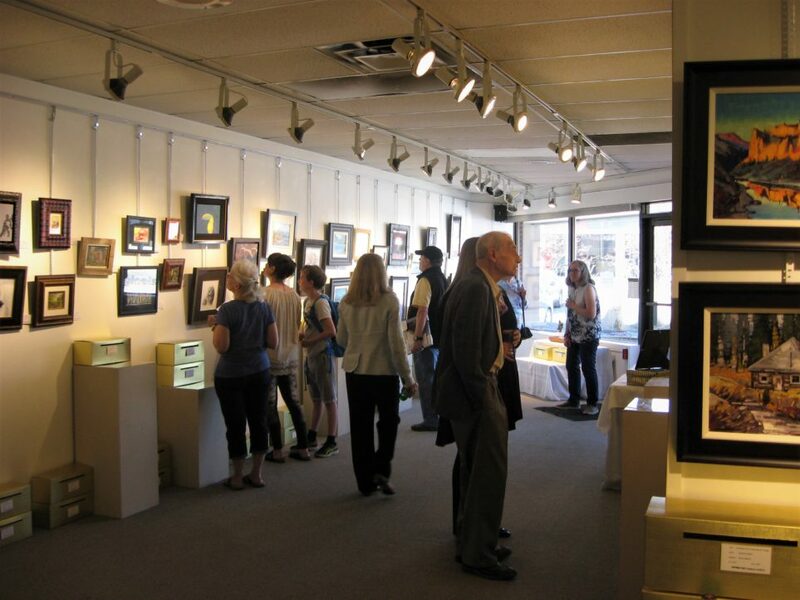 Gallery wants every one of its customers to have a chance to own these unique works of art. So a draw will be held for each item. When someone is interested in buying a piece they will fill out an intent to purchase form and drop it in a gold box that will be located next to the artwork. At the end of show, the gallery will hold a public draw for each work. “We do other shows where it’s first come first serve but we needed to do something that would be fair for everyone,” says Rollie. “When you have the caliber of artists we have, collectors will show up and want to buy 5 or 6 pieces. This way it’s fair.” Any pieces that don’t sell at the draw will then be put up for sale on a first come first serve basis.